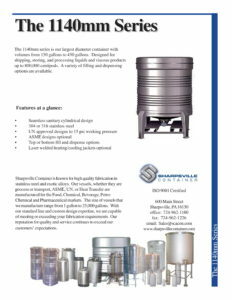 The 1140 series is our largest diameter container with volumes from 150 gallons to 450 gallons. Designed for shipping, storing, and processing liquids and viscous products up to 800,000 centipoise. A variety of filling and dispensing options are available. At Sharpsville Container, we’ve had many years experience manufacturing storage, transportation, process, and other function tanks for a variety of industries including chemical, beverage, food, energy, pharmaceutical, and more. We are committed to providing top-quality containers of general or custom-designed nature to meet your specific needs. With tanks ranging from 1 to 25,000 gallons, you’ll find a solution to your needs here. 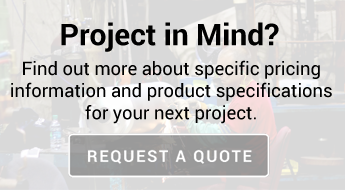 Contact us today or request a quote to get started!